September 2017.– Edgardo Alvarez, Secretary General of ALIDE, gave a presentation about the role and future challenges of development financial institutions (DFIs) during the “Global Symposium on Development Financial Institution: Balancing Sustainability and Social Mandate: Development Financial Institutions in a New World”, that was organized by the World Bank Group and Bank Negara Malaysia on Kuala Lumpur, Malaysia. The symposium was intended to provide an avenue for various stakeholders of DFIs, which include government officials, regulators, DFIs, academia and researchers; to share, learn as well as exchanging ideas on the global trends, current and future outlook, best practices & regulations, innovations and contemporary issues. The presentation was made on the basis of document “Role and Future Challenges of Development Financial Institutions”, which presents the main challenges of the DFIs as financial inclusion and integration and digital banking; physical and social infrastructure; the environment and climate change; technological innovation and development; and the banks regulation. 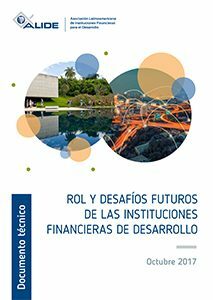 The technical document presents the main challenges of the Development Financial Institutions (DFIs) as financial inclusion and integration and digital banking; physical and social infrastructure; the environment and climate change; technological innovation and development; and the banks regulation.